MUI, an industry leader in roller fabrication, brings together design, development, and a wealth of resources to provide specific solutions for any roller manufacturing challenge. Rollers are in common use in virtually all manufacturing processes. While we target the oil and gas industry, as well as offshore and marine technology, we have the ability to develop products in a wide range of sizes and configurations for a variety of industries. Roller technology is more than merely developing a solution; it is an innovative and precise method for enhancing productivity, efficiency, creative solutions, and reducing costs. This approach is what makes our products and company stand out from the rest. Our roller fabrication is a cost-effective, long-lasting solution to pipe-lay projects. We offer a diversity of types, such as idler rollers, v rollers, hourglass rollers, drive rollers, and stinger rollers. Our products are designed and manufactured primarily for use in shallow and deepwater pipe barge installations, and more. Hourglass Pipe Rollers – constructed for the protection and guidance of pipeline projects. The one-of-a-kind hourglass roller design offers stability for moving pipe. 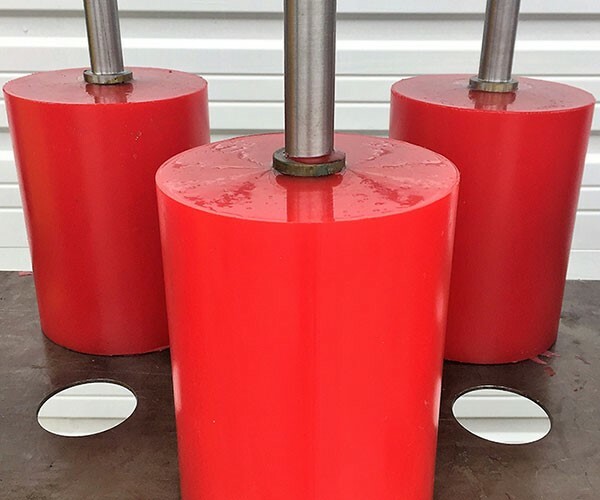 Since they are made from polyurethane, our pipe rollers are resistant to chemical as well as environmental influences and will withstand the elements for years. V-Groove Track Rollers – used to move piping and tubes on a job site or offshore platform during fabrication and assembly. V rollers are excellent solutions for the handling of large shafts, tubing, or rollers in a production environment. Guide Rollers – used to accurately feed piping by keeping it centered in the feeder cradle when installing tubes and pipes. At MUI, we develop custom guide rollers for client-specific equipment needs, thereby ensuring the reliable handling of any pipe during the installation process. Our guide rollers allow a tube to evenly move while remaining aligned in a perfect manner. 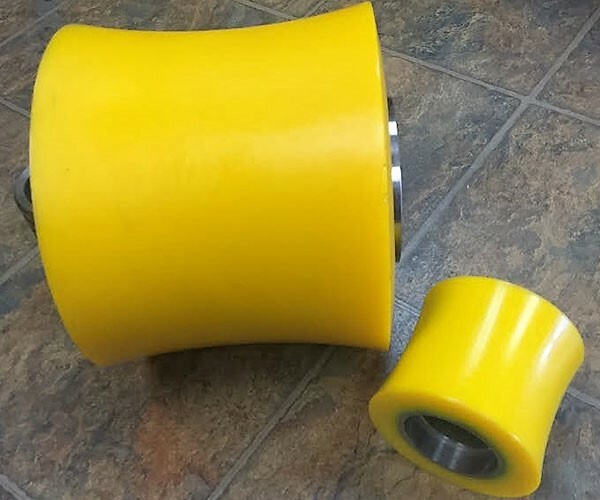 Engineering experts back MUI’s roller fabrication technology with a considerable amount of knowledge and experience in creating roll coverings, molded products, precision machining, and custom-designed urethane products. 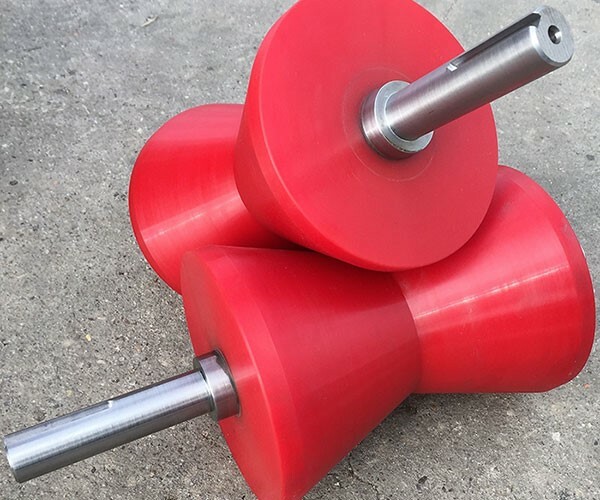 At MUI, we have the expertise to design and manufacture custom molded rollers to any size and configuration required for a particular application. In our high-quality molding process, we use the highest quality polymers available to ensure that our rollers will do the job far into the future.